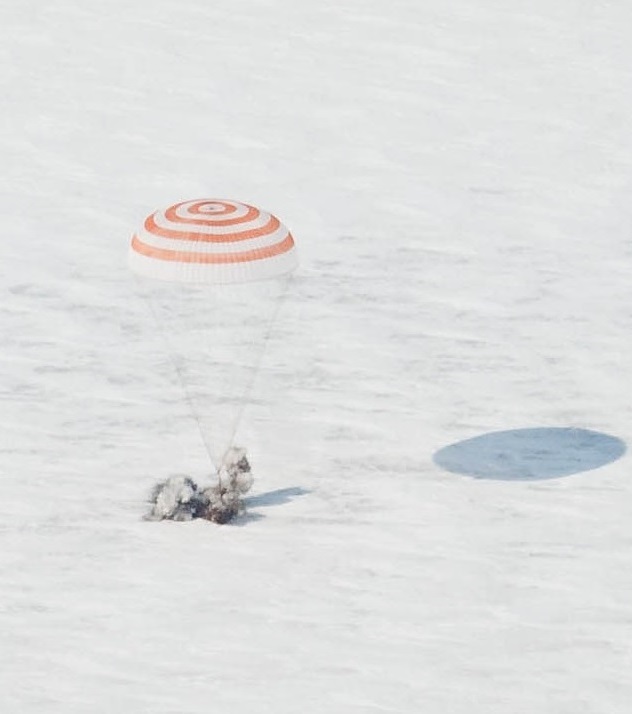 Three International Space Station crew members are on the eve of their return to Earth aboard the Soyuz TMA-18M spacecraft, aiming for a parachute-assisted landing in the snow-covered steppe of Kazakhstan Tuesday night. Returning aboard the Soyuz capsule are the year-long crew members Scott Kelly and Mikhail Kornienko who are setting the record for the longest flight to the International Space Station in a mission dedicated to exploring the effects of the space environment on the human body beyond the six-month threshold that has been the typical flight duration for ISS crews before them. Sitting between the two one-year crew members will be veteran Soyuz commander Sergei Volkov, returning to Earth after his third long-duration flight to ISS. Scott Kelly handed command of the Space Station over to Astronaut Tim Kopra on Monday as Expedition 46 winds down, although the official transition to ISS Increment 47 will not come until the three departing crew members set sail aboard their Soyuz spacecraft at 01:02 UTC on Wednesday, marking the start of a short free flight. Soyuz TMA-18M will fire its engines at 3:32 UTC to begin a 25-minute free fall towards the atmosphere ahead of a blazing re-entry to set the stage for landing at 4:25 UTC, marking the homecoming a record-setting ISS crew. Kornienko and Kelly launched aboard the Soyuz TMA-16M spacecraft on March 28, 2015 accompanied by Soyuz commander Gennady Padalka who, over the course of his six-month stay in space, broke the record for the most time spent in orbit, becoming the most experienced spaceman with 879 days logged in space. Padalka departed ISS in September and the two yearlong space fliers switched seats to the newly docked Soyuz TMA-18M spacecraft, flown to ISS by Volkov and two short-duration crew members who landed with Padalka. A swap of Soyuz craft was necessary at the halfway point in their mission given the 215-day certification limit of the Soyuz. 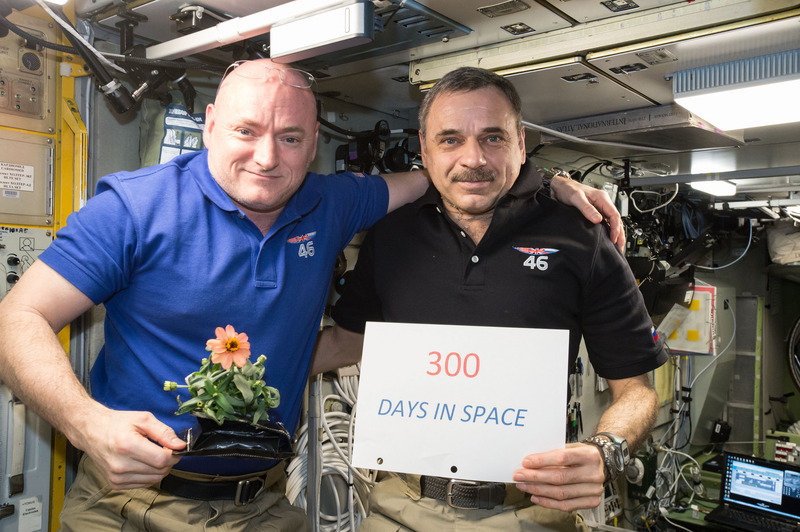 Over the course of their stay in space, Kelly and Kornienko completed 5,440 orbits around the planet and traveled over 230 million Kilometers, witnessing over 10,000 sunrises and sunsets. 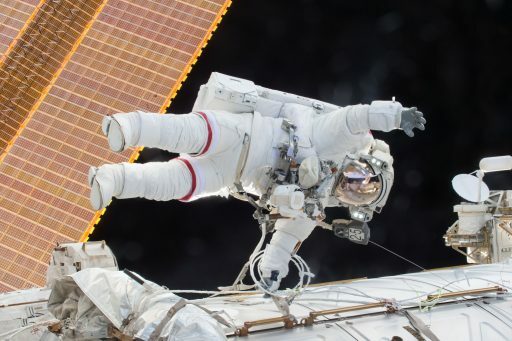 In addition to a busy science program, Kelly and Kornienko participated in spacewalks – three were performed by Kelly and Kornienko ventured outside once. 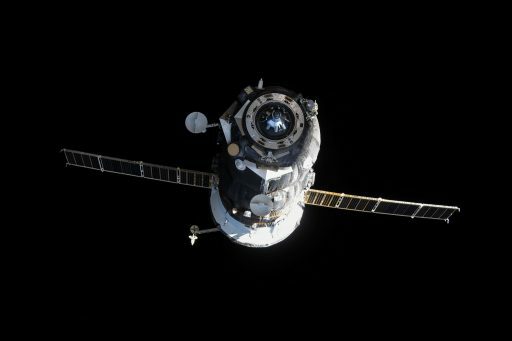 They welcomed six resupply craft as well as three Soyuz crew ferries, greeting new crew members aboard the orbiting outpost, their home in space for a year. The crew took thousands of photos of Earth over the course of their year in orbit and Scott Kelly was particularly active on Social Media, sharing his experience with the world by posting hundreds of photos and answering questions. Kelly and his U.S. and European colleagues were involved in over 400 studies covering a variety of scientific disciplines including a wide array of medical studies for which the crew members acted as test subjects, delivering data on the effects of spaceflight on human physiology and psychology. The purpose of the one-year mission to ISS was the collection of data beyond the six-month missions that were the standard for most of the Salyut, Mir and ISS programs. Though in the Mir days, missions of one year or longer were performed on three occasions including Valeri Polyakov’s record-setting flight of 438 days. However, these missions only provided a handful of data points and scientists were eager to conduct a long mission to ISS, making use of modern technology to gather a wealth of data to gain insight in the physiological aspects of lengthy exposure to the space environment. Even with just two crew members, the mission will identify risks associated with such effects that would need addressing for future missions to Mars and beyond. The space environment, characterized by microgravity and increased radiation exposure, has an effect on almost all bodily systems including physiological and psychological aspects. Typically, the physiological impacts of prolonged exposure to the space environment can be compared with an accelerated aging process – typical symptoms are a loss of muscle and bone mass, degradation of the cardiovascular and neurovestibular systems, and a significant degradation of the immune system. 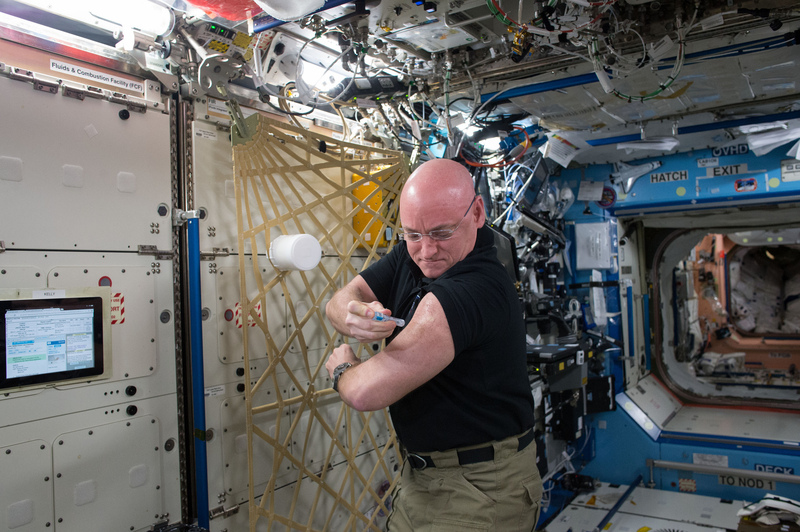 Balance disorders and behavioral changes are also observed in humans undergoing long-duration space missions. The overall goal of the one-year mission was to look at the progression of the negative effects listed above between the six-to-twelve month mission duration. 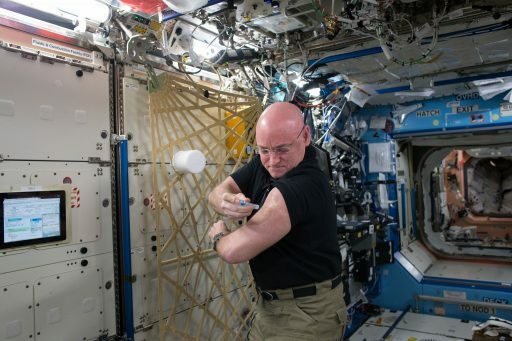 Scott Kelly was also part of a study involving his twin brother Mark, looking at two humans with similar genetic material with one enduring a year in space and the other remaining on Earth. 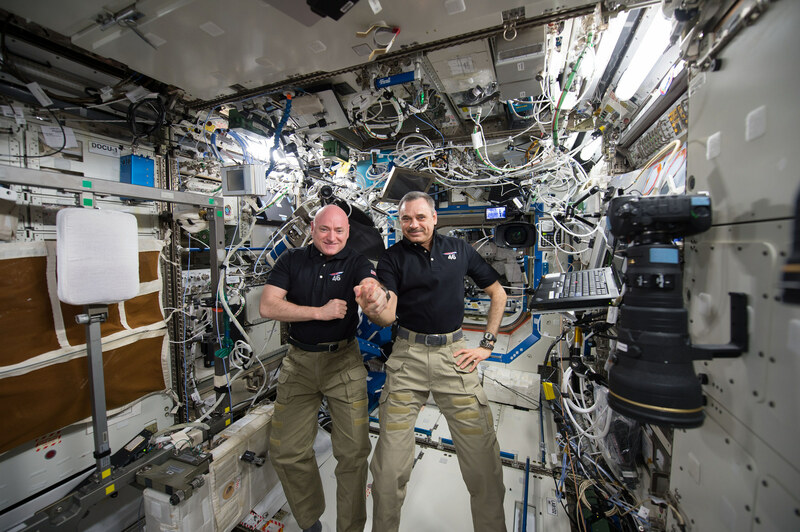 Once back on Earth, Kelly and Kornienko will continue months of medical tests to assess the extent of spaceflight-related degradation in all physiological systems and to keep track of how their bodies recover over time. Returning to Earth this week, Kelly sets the record for the longest space flight by an American, surpassing the previous endurance record for an ISS Expedition at 215 days. “I could go another hundred days, I could go another year if I had to,” Kelly told reporters in his last press conference from space. “It would just depend on what I was doing and if it made sense, although I do look forward to getting home.” Kelly said he is most looking forward to reunions with family and friends after spending a year of his life in in relative confines of ISS, only seeing a handful of people on a daily basis. Although Kelly is feeling fine up in orbit, the biggest challenge for the crew will be the adaptation to gravity after spending close to a year in weightlessness. Experiments have been designed for the hours and days after landing to put Kelly’s abilities to the test and assess whether it would be possible for humans to complete tasks of different complexity that would be required after landing on Mars. “There are the things you can’t see, like bone loss and the effects of radiation on you at a genetic level, and that is something we might not know about for years to come, how long term that amount of radiation has affected me,” Kelly said in a recent interview. Experiments will begin immediately after landing when Kelly and Kornienko will participate in the Field Test study, completing physical exercises such as standing up from a sitting position, a recovery from fall test, balancing while standing on both feet and a number of other tasks. Of particular importance for the one-year crew members, these experiments will assess the complexity, severity, and duration of physiological changes that have noticeable effects on a crew member’s health when returning to a gravity environment. Wrapping up their stay onboard ISS, the three Soyuz crew members spent the last several days packing up their things and going through reviews of the landing procedure, also putting on their Sokol Launch and Entry Suits for a fit check and completing functional tests of their Soyuz spacecraft and its thrusters. The Soyuz was loaded with return equipment and trash and a number of simulations were performed by the crew to ensure they will be on the same page during their fast-paced return to Earth. 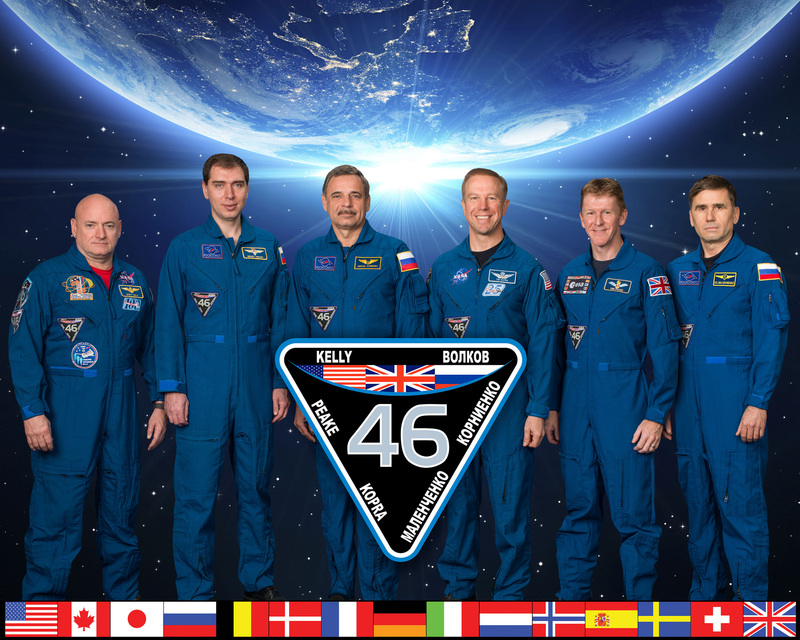 Volkov, Kornienko and Kelly will bid farewell to the Space Station and the three remaining crew members, Yuri Malenchenko, Tim Peake and Expedition 47 commander Tim Kopra. They will float aboard their Soyuz at 21:40 UTC on Tuesday and close the hatch to the spacecraft to mark the start of a one-hour leak check during which the crew members put on their Suits and strap themselves into their seats – veteran Soyuz commander Volkov will sit in the center, flanked to his right by Scott Kelly and to his left by Mikhail Kornienko, assisting Volkov in commanding the Soyuz spacecraft through its Digital Flight Control System. Placed on autonomous power, Soyuz will activate its docking mechanism and issue its undocking command at precisely 01:01 UTC on Wednesday, beginning the process of demating structural interfaces with ISS so that loaded springs can push the 7,200-Kilogram spacecraft away from its Poisk docking port at 01:02:30 UTC. 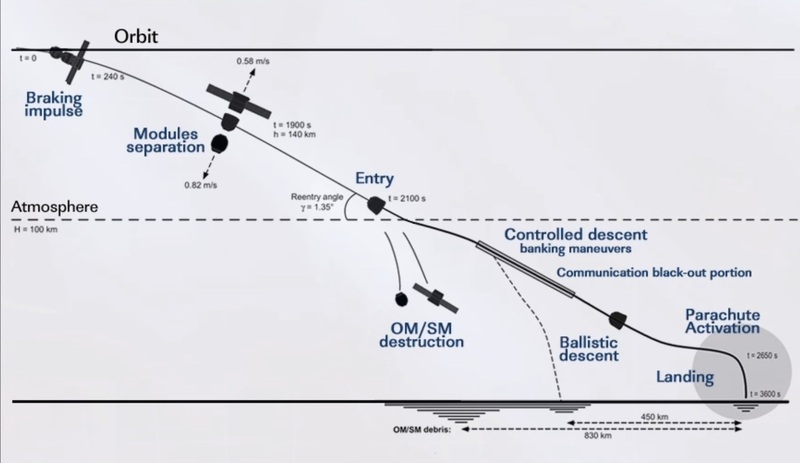 A pair of departure maneuvers will put the Soyuz on a course away from ISS, aiming for a position 12 Kilometers from the Station for the deorbit burn, set to start at 3:32:43 UTC – a precisely timed burn of the SKD propulsion system of the Soyuz, lasting four minutes and 40 seconds to slow the spacecraft down sufficiently for it to drop out of orbit. Just before hitting the atmosphere, the Soyuz spacecraft will split in three as only the small Entry Module is outfitted with thermal protection systems to survive the high-speed re-entry, set to start at 4:03 UTC. Re-entering the atmosphere, the all-veteran crew will know what to expect – beginning with a small sensation of gravity before the forces of re-entry start building up and the exterior of the spacecraft begins glowing bright yellow as plasma builds up around the Soyuz, with temperatures on the heat shield reaching 1,600°C. The crew will pull north of four Gs, slowing down in the atmosphere to reach a sub-sonic speed for the deployment of the parachutes, 11 Kilometers in altitude. First, Soyuz will deploy a pair of pilot chutes that pull out a drogue chute to enable the craft to slow down sufficiently for the deployment of the huge orange-and-white main chute which will mark the transition to a quiet vertical descent – allowing the crew to prepare for the culmination of their return trip when Soyuz will fire its Soft Landing Engines and, moments later, makes contact with Terra Firma. Landing is set for 4:25 UTC around 140 Kilometers from the city of Karaganda. A small armada of helicopters, All Terrain Vehicles and offroad vehicles will rush to the landed Soyuz spacecraft to begin the process of extracting the crew. Part of the recovery crew will be Cosmonaut Gennady Padalka who promised his fellow TMA-16M crew members to be present at their landing, welcoming them back to Earth. Once outside the Soyuz, the crew will have a few minutes to acclimate and take a breath of fresh morning air. They will be seated in reclining chairs, undergo a quick medical assessment and have the opportunity of a short phone call with their families before being carried into a medical tent for closer examinations and experiments. The crew will part ways after a short welcoming ceremony in Karaganda as Scott Kelly departs for the Johnson Space Center while Volkov and Kornienko board a plane to the Gagarin Cosmonaut Training Center. All of them will be looking at two months of blood draws, scans and lab tests to document how their bodies changed in space and how they re-adapt to gravity. Scientists will be busy for months and years pouring over data gathered as part of the longest ISS mission to date, also evaluating whether similar one-year missions are needed to collect additional insights. Currently, there are no firm plans for extended ISS flights as the partner agencies await the results from this pilot study that is hoped to pave the way to similar long-duration missions, possibly beyond the one-year mark. Also under advisement is a simulated Mars mission that would see a crew launch to ISS, spend six months in orbit and then land on Earth for two or three months of activities in a gravity environment followed by another six-month stint in space. ISS was built for the specific purpose of developing technology and procedures for extended missions to distant targets and there is a strong desire to keep pushing the duration of space missions as a stepping stone to flights Beyond Earth Orbit.